We have introduced our new Diopsys ERG and VEP Vision Testing Systems at our Manpada (Dosti Imperia) location. This machine will change the way we are able to diagnose allowing our doctors to collect more pieces of the puzzle. Diopsys is the leader in providing Ophthalmologists and Optometrists with objective, functional information about the vision system to aid in the early detection of vision disorders and patient management through ERG and VEP vision testing. Not only are we able to use this piece of equipment for our vision therapy patient, but in fact we are able to monitor back of the eye diseases and catch warning signs much sooner especially in management of patients with Glaucoma, Diabetic retinopathy, Multiple sclerosis, Ischemic Optic Atrophy and Traumatic brain injuries. Medical Technology is becoming so incredibly advanced and we are excited to have the ability to offer this test to our patients as we highly believe in preventative medicine. We are the ONLY Eye hospital in this part of Mumbai & the whole of Thane area that have this technology and are currently offering the ability to co-manage patients to have this test preformed. This advanced form of ERG and VEP does not have the electrodes to be put inside the patient’s eyes and can perform the test in as less as 40 minutes, for both eyes inclusive!! Diopsys®ERG and VEP Vision Tests are painless, non-invasive, and use visual electrophysiology, called Electroretinography (ERG) and Visual Evoked Potential (VEP). The purpose of these tests is to provide your doctor with comprehensive information on the function of your vision. The test results assist in better planning of your treatment (if needed) and monitoring your results. Early detection and treatment is the key to maintaining a lifetime of healthy vision for your patients. Diopsys® ERG (electroretinography) vision tests provide you with objective, functional information on the performance of retinal ganglion cells. These test results help you identify “stressed” cells at a subclinical stage, when the cells have become dysfunctional but are still alive. By starting treatment at this early stage, before evident structural defects, you can help extend your patients’ sight. It measures the function of your retina-the light-sensitive layer at the back of your eye. When light enters the eye, it is converted into electrical energy by specialized cells in the retina. Diopsys® ERG tests record how well the cells of the retina are conveying electrical impulses within the eye. 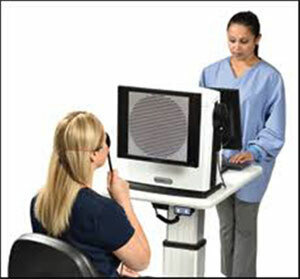 ERG results have been demonstrated to aid in the diagnosis and treatment planning of many vision disorders. 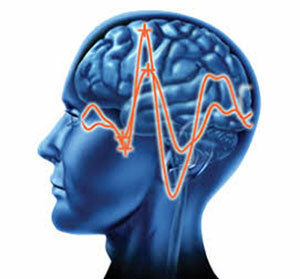 Visual Evoked Potential (VEP) measures the electrical activity in the entire vision system. When light enters your eye, it is converted in to electrical energy at the retina and travels through the optic nerve to the visual cortex of the brain which processes vision. The Diopsys® VEP test measures the strength and speed of the signal from your retina all the way to your visual cortex. VEP technology in the Diopsys® vision testing systems helps determine how your eyes communicate with your brain in a way that no other instrument or vision test can.